Pregnancy Foods: What You Should Eat During Pregnancy? Being pregnant requires more nutrients, more healthy food, and generally more food in order to provide enough nutrients for both the mother and baby. However, pregnant mothers should also summon into mind the importance of eating healthy foods, not just the increase the calorie intake. The biggest myth during pregnancy is that mothers need to eat for two. The truth is that mothers need to increase their calories only by 300 during the first trimester, and around 500 during the second and third. When it comes to healthy food, nutrition experts recommend several foods. This article reveals some of the most recommended foods during pregnancy. 1. Eggs. One of the basic sources for protein, eggs also supply mothers with 12 vitamins and minerals, and about 90 calories per egg. Proteins are the building block of muscles and cells. Additionally, eggs are rich in choline, a water-soluble essential nutrient that promotes overall growth and health of the brain. Eggs are excellent source for omega-3 fats as well, which are essential for the brain and vision development. The only downside of eating eggs is that they are high in cholesterol. However, eggs are relatively low in saturated fat. Eating eggs is not an everyday diet, as three to four eggs per week are recommended, although there are some that say 1 egg per day is acceptable. Whenever mothers feel hunger, scrambled eggs can be done within minutes. Hard-boiled eggs are also an option. 2. Salmon. Another protein-rich nutrient, salmon is great source for omega-3 fats as well. Omega-3 is essential for development of the baby, but also boosts mother’s mood. The good thing about salmon is that it is low in methylmercury, a compound that is harmful for the development of the nervous system. The recommended dose of salmon and similar fishes for pregnant mothers is 12 ounces per week. 3. Beans. From all the vegetables, beans like lentils, navy beans pinto beans, black beans and chickpeas are the richest in protein and fiber. We already mentioned how important protein is for the development of the baby (as it is the main building block of cells and muscles). Fiber is another thing to consider. Fiber helps in prevention of constipation and hemorrhoids (which are common gastro problems during pregnancy). Foods that contain fiber are also rich in nutrients, and when it comes to beans, they provide the body with iron, folate, calcium and zinc. 4. Sweet Potatoes. Rich in carotenoids, a pigment that is converted to vitamin A, sweet potatoes are essential part of the pregnancy diet. The good thing is that carotenoid is converted to vitamin A when there is a need for it. They can be consumed as snacks anytime during the day when mothers feel hunger. 5. Popcorn and Other Whole Grains. Many don’t know it, but popcorn is a whole grain. Whole grains are rich in fiber and nutrients, thus essential part of the diet for pregnant women. They are also rich in vitamin E, phytonutrients and selenium. Other options for whole grains include oatmeal, quinoa and barley. Easy to make, whole grains are another quick and healthy fix for hunger. 6. Walnuts. One of the best sources for omega-3 fats, walnuts are great option for on-the-run snack. They can also be included as addition to the salad. Another benefit of eating walnuts is they are rich in protein and fiber as well. 7. Greek Yogurt. With double the amount of protein than normal yogurt, Greek yogurt is essential part of the diet and a food that mothers need to include in their pregnancy. Besides protein, yogurt provides the body with calcium, a mineral essential for bones and teeth development. Mothers should try to include as much as possible food that contains calcium. 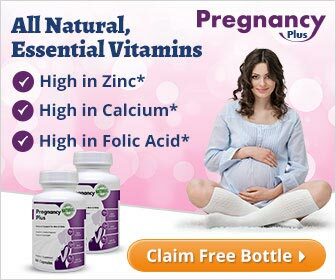 Any deficiency in calcium will be harmful for the mother, as the baby will always source from the mother. 8. Dark Green, Leafy Vegetables. There are several options here, including Swiss chard, kale, spinach and lots more. Greens and leafy vegetables are all rich with vitamins C, A and K, and other important nutrients like folate. 9. Lean Meats. Meat is the basic source for high-quality protein. There are other sources for protein, but meat will provide the most. Future mothers however should look for meat that is fat-free. Beef and pork meat are best choices, as they are also rich in choline. Mothers should void deli meats, hot dogs and other processed meats. 10. Colorful Fruits and Veggies. All those vegetables and fruits will provide abundant of nutrients for both the mother and baby. Each group provides different set of minerals and vitamins, so diversity is important. Another benefit is the baby will taste the food mothers eat through the amniotic fluid. When they are born, babies tend to eat the food they’ve tasted during their time in the womb. 11. Berries. Rich in vitamin C, folate, potassium and fiber, there are several choices when it comes to berries (raspberry, blueberry, strawberry). Berries can be combined with other fruits, or with pancakes and cereal as a healthy snack. 12. Sunflower Seeds. Seeds will provide the baby with energy and food. They are useful for both the mother and the baby, and they are rich in iron, essential ingredient for physical growth and development of the brain. Another benefit is sunflower seeds promote blood production. Iron deficiency leads to fatigue and infections. 13. Pumpkin. Pumpkin helps with constipation, as it is rich with fiber. Pumpkin also helps with digestion and intestine discharge. 14. Figs. Figs help with acids in the organism. They are rich in digestive enzymes, hence helping digestion. Additionally, figs are rich in potassium, which help keeping liquid balance during pregnancy.